Your opponent names a skill. 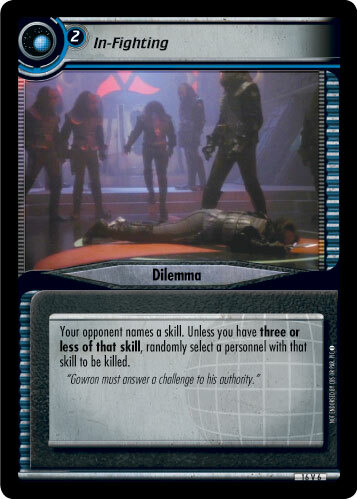 Unless you have three or less of that skill, randomly select a personnel with that skill to be killed. 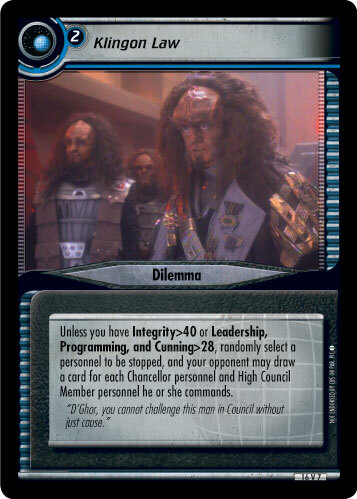 "Gowron must answer a challenge to his authority."